An intervention can motivate someone to seek help to deal with alcohol or drug abuse, compulsive eating or other addictive behaviors. Discover how to do it and how to make it succeed. "Colourful medical tablets and alcohol, to portray suicide.Click on the link below to see more of my medical images." 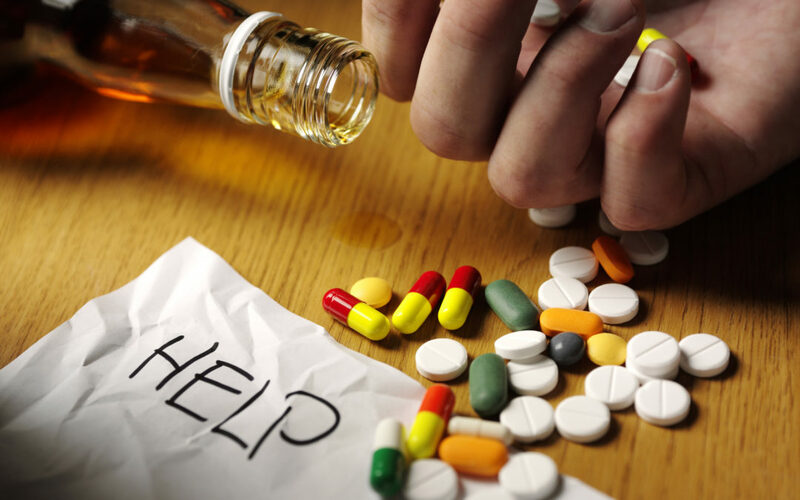 It is difficult to help a loved one who has problems with some type of addiction. Sometimes, a direct and sincere conversation can open the way to recovery. But when it comes to an addiction, the person who has the problem usually has difficulty seeing or accepting it. In general, a more specific approach is needed. It may be necessary to join forces with other people and take action through formal intervention. People who suffer from addiction, in general, deny the situation and do not want to seek treatment. They may not recognize the negative effects their behaviors have on themselves and others. An intervention is a carefully planned process that can be carried out by family and friends, with the advice of a doctor or a professional, such as consultant of a drug treatment centers in Phoenix Arizona. Sometimes, it involves a member of the religious community of your loved one or other people who are concerned about the addiction problem of the person in question. Provides specific examples of destructive behaviors, as well as the impact they have on the person with the addiction and their family and friends. Make a plan. A friend or family member proposes an intervention and forms a planning group. It is best to consult a qualified professional counselor, an addiction professional, a psychologist, a mental health counselor, a social worker or an interventionist to help you organize an effective intervention. An intervention is a situation with a high emotional load and with the potential to generate anger, resentment or a sense of betrayal. Learn Group members get informed about the extent of your loved one’s problem and investigate the condition and treatment programs. The group can begin arranging to enroll your loved one in a specific treatment program. Form the intervention team. The planning group forms the team that will personally participate in the intervention. Team members set a date and places and work together to present a coherent and rehearsed message, as well as a structured plan. In general, non-family members of the team help to keep the discussion focused on the facts of the problem and on the shared solutions rather than on intense emotional responses. Do not let your loved one know what they are doing until the day of the intervention. Decide the specific consequences. If your loved one does not accept the treatment, each person on the team must decide what action to take. For example, you can decide to ask your loved one to move out of your home. Make notes about what you will say. Each member of the team describes specific incidents in which the addiction caused inconveniences, such as emotional or economic problems. Analyze the damage caused by your loved one’s behavior while expressing concern and expectations about the fact that it can change. Your loved one cannot discuss facts or your emotional response to the problem. For example, start by saying the following: “It bothered me and it hurt me to drink “. Make the intervention meeting. Your loved one with addiction is asked to go to the site of the intervention without telling him the reason. Then, team members take turns expressing their concerns and feelings. You are presented with a treatment option for your loved one and you are asked to accept it at that time. Each team member will tell you what specific changes will be made if your loved one does not accept the plan. Do not threaten a consequence, unless you are ready to carry it out. Follow up Involving the spouse, relatives or others is essential to help someone who has an addiction to follow the treatment and avoid relapse. This may include changing patterns of daily life to make it easier to avoid destructive behaviors, offer to participate in the therapy of your loved one, find your own therapist and your own recovery support, and know what to do in case of a relapse. A successful intervention must be carefully planned so that it has the intended effects. A poorly planned intervention can make the situation worse: your loved one may feel attacked and may isolate him or become more reticent to treatment.